You don’t have to know much about football to realize that the defensive unit is every bit as important as the offense. An offense may be all-world, but wins may still be hard to come by if the defense can't stop the opposing team from putting points on the scoreboard. It's not an easy job. There have been some confounding offensive schemes in college and professional football through the years, and some incredible players. Defensive coordinators have gone gray trying to figure out how to stop these guys, and have hatched some incredibly innovative game plans. But almost every team commits to either a base 4-3 or base 3-4 defense, and that hasn’t changed for decades. Legally, defensive players can line up anywhere as long as they don’t encroach across the line of scrimmage. Coaches have employed 4-4 defenses with four down linemen and four linebackers, but that leaves a single safety and at least one linebacker who is responsible for pass coverage at all times. Buddy Ryan’s 46 defense was en-vogue for a little while back in the '80s, but this isn’t four down linemen and six linebackers as the name would suggest. Ryan named the defense after the jersey number of one of his players. The 46 was in fact a version of 4-3 with an over-shift and eight men in the box at the line of scrimmage. It is great against the run, and provides a few advantages in the pass-rush department, but it also tends to put defensive backs in a bad position. 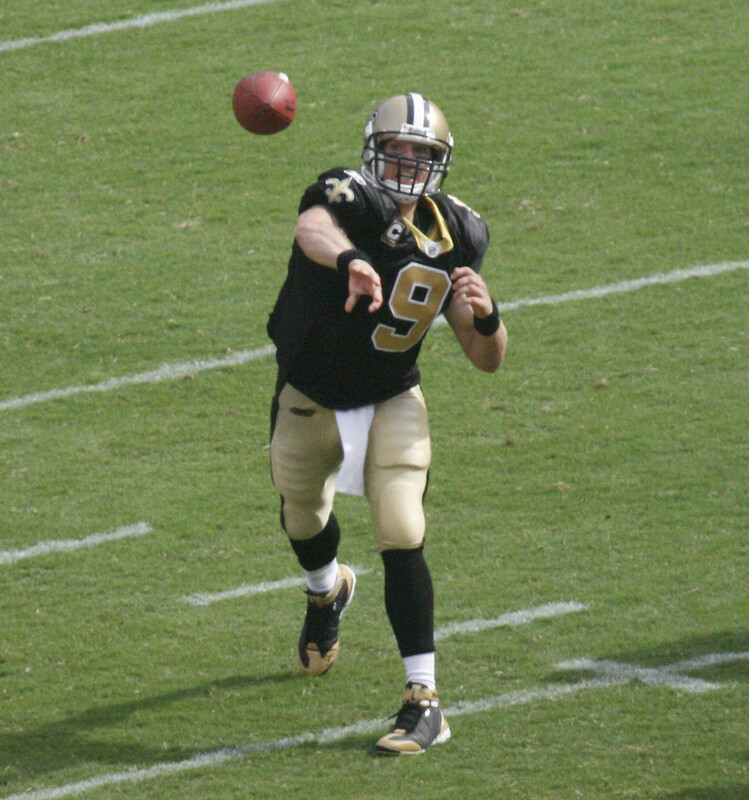 This is a basic article aimed at the casual football fan, intended to help you better understand what you are seeing on the field each Sunday in the fall. 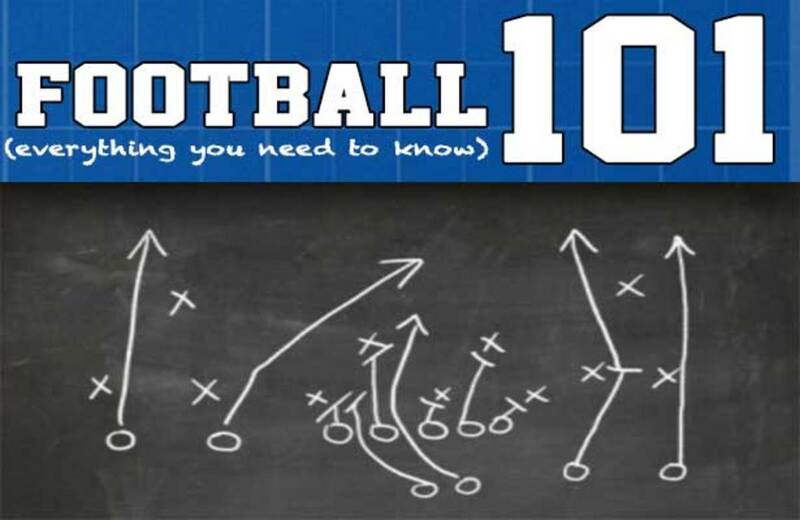 You'll learn what’s so great about the 4-3 and 3-4 schemes that have helped them stand the test of time, as well as the downsides of each. The 3-4 in a flexible defense, and provides some great advantages when it comes to rushing the quarterback and defending against the pass. Because there are only three linemen, the outside linebackers may play the role of defensive end at some times, essentially giving a 4-3 look. The 3-4 can be confusing for opposing quarterbacks, who may find it tough to keep track of these roving linebackers who line up all over the place. Because it offers so many options, and presents so many different looks for the opposing offense, many NFL teams have switched to the 3-4. This is probably largely due to the explosion of the passing game in recent years. With its base personnel, the 3-4 is much more effective at dealing with intricate offensive game plans involving multiple-wide-receiver sets, tight ends who may line up anywhere, and versatile halfbacks capable of catching the ball downfield. 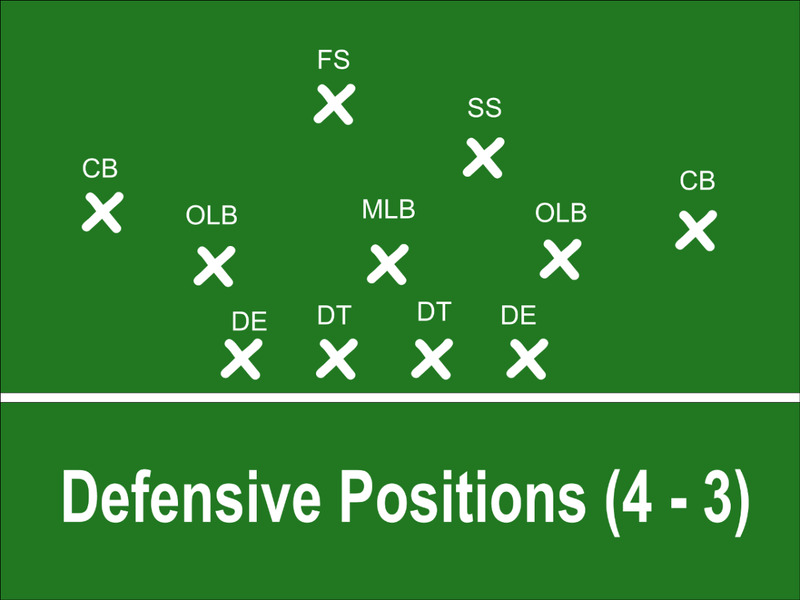 With the same personnel, a 3-4 defense might line up in a three-man front, a four-man front, or even a two or one-man front. 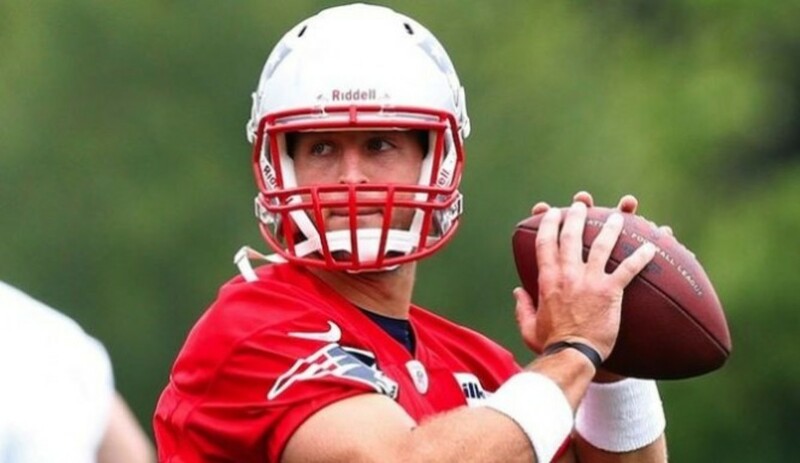 It’s up to the opposing quarterback to figure out where everyone is, and what role they are playing. For a defense that is a huge advantage. Because of its flexibility, the 3-4 may seem like the ideal defense, but much of its success depends on having the right personnel at various positions. To effectively stop the running game a team will need a dominant nose tackle that is capable of occupying space and taking on several blockers without giving ground. Defensive ends are not only expected to have the speed to rush the quarterback on passing downs, but also to have the strength and size necessary to take on offensive linemen and keep them off the inside linebackers on running plays. Outside linebackers need to be incredible athletes with a non-stop motor and a great nose for the ball. Inside linebackers need to have the toughness to take on offensive linemen, but also the speed and agility to cover backs out of the backfield. As you can imagine, special players in these positions are not always easy to find, and a poor performer can hurt the whole defense. Without a dominant nose tackle, the 3-4 can be very weak against the run. Without linebackers who can both cover backs and tight ends and bring pressure against the quarterback, a team will suffer in passing situations. 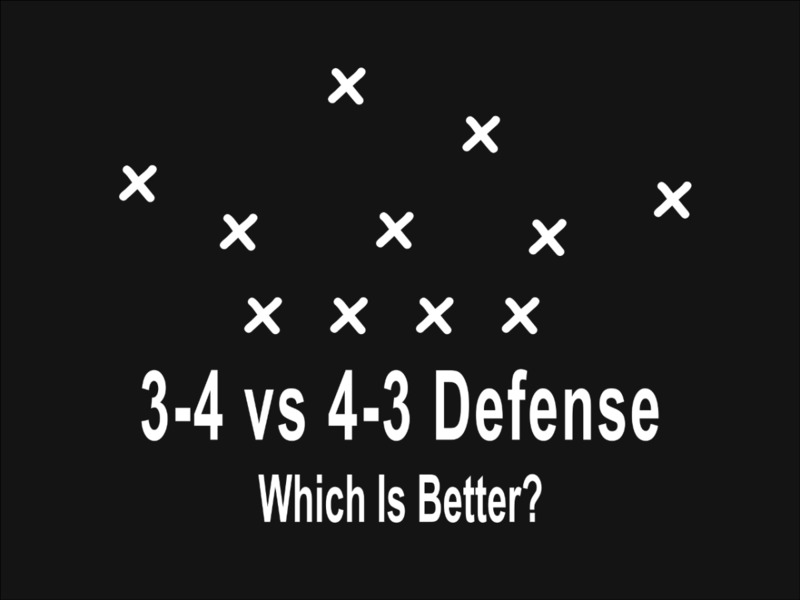 The 4-3 is a more conservative defense, but that’s not always a bad thing. In the 4-3 the linebackers play more behind the line, and the team will rely on its four defensive linemen to get the job done up front. This means stopping the run can potentially be more effective than with a 3-4 defense, as a 4-3 team utilizes two defensive tackles that shift and stunt to confuse the offensive linemen’s blocking. 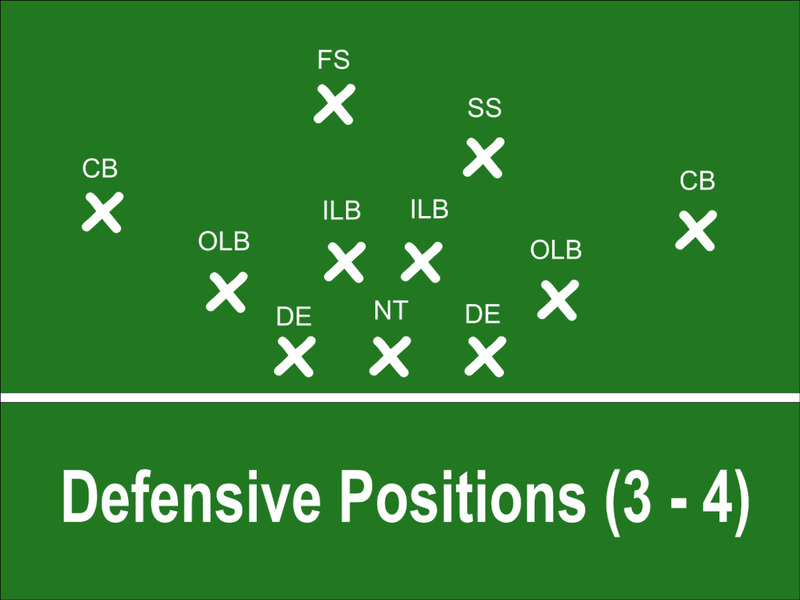 If defensive tackles in the 4-3 can make plays against the run that’s great, but many 4-3 defenses are set up to allow the middle linebacker to make tackles. The middle linebacker must be very smart in this defense, and his reads must be spot on. He needs to have the size and power to stop a running back dead in the hole, and the speed to range from sideline to sideline. The 4-3 defense can be effective against the passing game, as long as a team has a good defensive line. Whereas in the 3-4 defense a team will usually need to blitz at least one linebacker to get pressure on the quarterback, a 4-3 team can leave that job up to the defensive line and assign the linebackers elsewhere. This leaves options like the famed Tampa-2 coverage available, with 2-deep and the middle linebacker covering down the middle of the field. All four defensive linemen must be good pass rushers, especially the defensive ends who are usually much smaller and quicker than their counterparts in the 3-4. A 4-3 team that can get pressure on the quarterback using only the four down linemen is a nightmare for offensive coordinators. Where the 4-3's conservative nature can be a benefit, with today’s modern offenses it can also be a liability. The best NFL quarterbacks have a much easier time spotting weaknesses in a 4-3 scheme, as player assignments are more predictable and less muddled up by the defensive alignment. It’s easier to get mismatches and exploit them, and easier to guess what the defense is about to do. Because of the complexities of offenses, 4-3 teams may need to rely more on nickel or dime sets, basically telling the offense what they think is about to happen. The offense can counter by running the ball out of sets with three or four wideouts. As with the 3-4, the 4-3 needs the right players in the right spots to be successful. A big part of this is having the right guy at middle linebacker. Like the quarterback on the offense, the middle linebacker often sets the tone for a 4-3 defense. If all is going well with a 4-3 defense it can be very effective, but when things go bad, they can get very bad. The lack of flexibility and the lesser ability to disguise blitzes and player assignments can be a vulnerability. Like the 3-4, it all comes down to player ability, and having the right guys in the right spots. Unless you’re ready to take a job as a defensive coordinator somewhere, fortunately you don’t have to decide. Both have their positives and negatives, and teams succeed and fail spectacularly with each. For the casual football fan, it's interesting to watch the drama unfold. 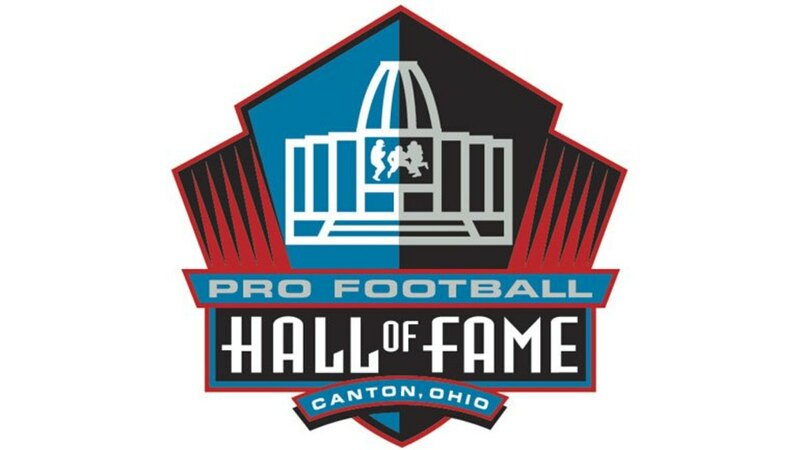 But if you are ready to take that job as defensive coordinator, or if you are simply trying to choose between the 3-4 and 4-3 to dominate at Madden, how do you decide? The immediate choice may be based on the defensive players you already have. 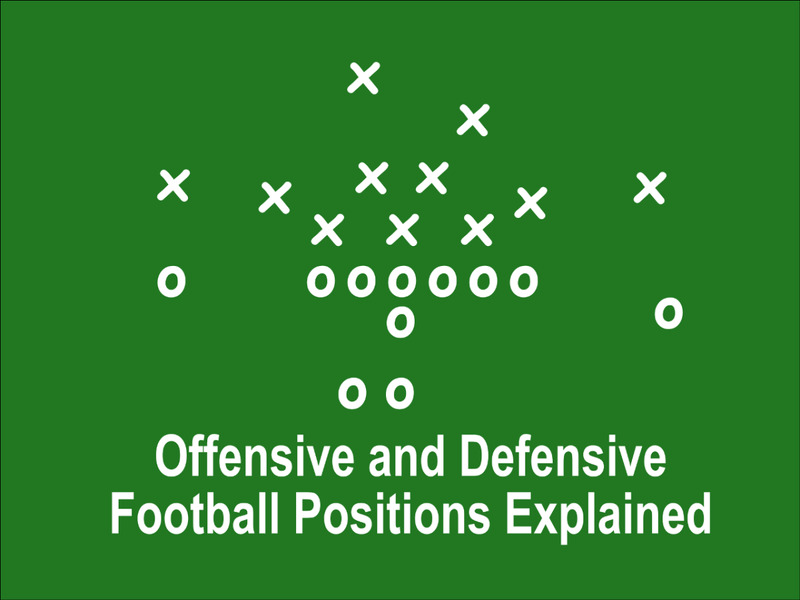 As illustrated, the same personnel do not work for both defenses, at least not in the same positions. Changing defensive schemes means shuffling player positions and possibly bringing in new guys. Maybe someday some free-thinking defensive coordinator will invent something better, but until that day comes the base 3-4 and 4-3 defenses will stand as the best options out there. It may even be possible that the passing game will expand to point where we'll see teams playing a base 3-3 more often at some point, with three roving safeties. Until then, fans will continue to debate the pros and cons of each defense, argue about personnel, and praise or defame the coaches responsible. But that’s why we love football. It’s a complicated game, without easy answers. Your point that having the right personnel to fit the defensive scheme is perfectly illustrated by my Cardinals this season under new HC Steve Wilks. Wilks made the switch from 3-4 to 4-3 and the roster was not built for a 4-3. The result has been grim. @TT - Very true! 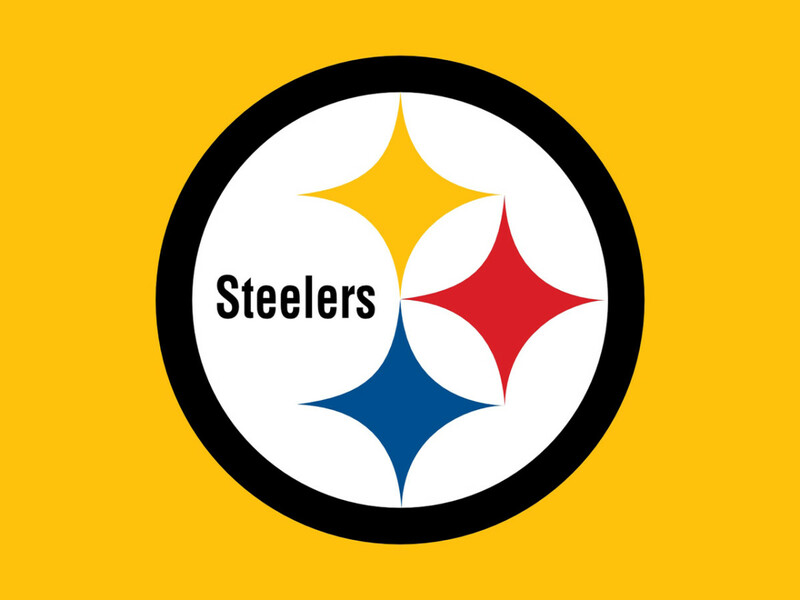 The Steelers went to four Super Bowls playing a 4-3 under Chuck Noll, then went to four more playing a 3-4 under Cowher and Tomlin.